The geography of luxury real estate investment is changing, analysts at the International Luxury Property Expo (ILPE) (http://ilpexpo.com/) report. Investors’ focus has shifted toward countries that have seen an increase in real estate value over recent years. For instance, prices for high-end real estate in Singapore have soared by 11.5%, while in Tokyo prices have risen by 9.4% and in Beijing, real estate values have risen by 7.3%. At ILPE events in 2018, many attendees expressed interest in Spanish properties, which mirror the current trends. For instance, prices have skyrocketed by 10.3% in Madrid. Germany remains the most attractive destination in Europe for upmarket real estate investment. Its popularity can be credited to its stable economy and a transparent taxation system. The German real estate market received €57.5 billion in investment over the previous year alone. Based on the number of enquiries, real estate in Germany ranked 1st among the EU countries at ILPE events. In general, the European Union generally retains its investment appeal for upscale property investors, but 2017 was not an easy year, where concerns included Brexit and elections in Germany and France. Even so, 2018 had a positive effect on the real estate market which, in turn, resulted in an increase in luxury real estate prices. In Berlin, for instance, prices rose by 8.5% and by 6% in Paris. The most expensive homes can now be found in Monaco, where homes fetch US$62.5 per square meter. On average, prices for high-end real estate in the EU have grown by 6%. Western Europe remains the most coveted investment destination for asset protection. Political uncertainty has taken its toll on real estate elsewhere: In London prices declined by 1.8%, and in Istanbul by 2.4%, while the market in Vancouver, Canada has plummeted, losing 6.2% of its value. Several years ago, investors massively favoured the UAE, but now, with prices dropping an average 6% a year, investors need to use caution when selecting property. However, the transaction volume still remains quite high and the market is expected to recover and prices to rise by 2020, thanks to World Expo 2020, to be held in Dubai. What are the best countries to invest in upscale real estate in 2019, and why? Investors are primarily interested in countries where real estate has steadily increased in value over recent years. 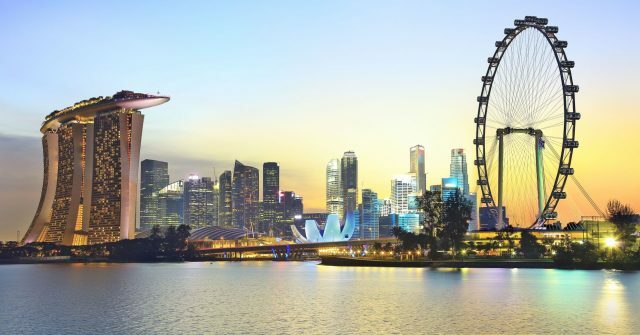 Prices for high-end real estate in Singapore have soared by 11.5 percent, while in Tokyo prices have risen by 9.4 percent and in Beijing, real estate values have risen by 7.3 percent. Prices have skyrocketed by 10.3 percent in Madrid. Germany remains the most attractive destination in Europe for upmarket real estate investment. Its popularity can be credited to its stable economy and a transparent taxation system. In 2018, prices for luxury properties in Berlin rose by 8.5 percent – only 2 percent lower than in Madrid. Real estate in the German capital will continue to rise in price until at least 2020, ILPE experts say. The German real estate market received €57.5 billion in investment over the previous year alone. Based on the number of enquiries, real estate in Germany ranked 1st among the EU countries at ILPE events. In what countries are home prices rising? Which markets are sliding? Prices for upscale real estate will continue to grow through 2019. Madrid, Paris, and Berlin are expected to lead with six percent growth rate. Real estate in Canada and the USA will continue to increase in value as well, whereas activity in Singapore is likely to slow, and luxury real estate prices in Hong Kong may drop by as much as 10 percent. The most expensive homes can now be found in Monaco, where homes fetch US$62.5 per square meter. On average, prices for high-end real estate in the EU have grown by 6 percent. Western Europe remains the most coveted investment destination for asset protection. Political uncertainty has taken its toll on real estate elsewhere: In London prices declined by 1.8 percent, and in Istanbul by 2.4 percent, while the market in Vancouver, Canada has plummeted, losing 6.2 percent of its value. High-end real estate in the French capital did not live up to analysts’ expectations, with Parisian properties increasing in value by just six percent compared with the predicted nine percent increase. Notwithstanding, Paris is forecast to stay among the world’s top five hottest luxury real estate markets in 2019. Several years ago, investors massively favoured the UAE, but now, with prices dropping an average six percent a year, investors need to use caution when selecting property. However, the transaction volume still remains quite high and the market is expected to recover and prices to rise by 2020, thanks to World Expo 2020, to be held in Dubai. 2018 was also a good year for the American upscale real estate market. In New York, prices remained stable while in Los Angeles real estate became 7.8 percent more expensive. Investors were also found to favour real estate in San Francisco, where the sale of homes valued at US$2 million or more grew by 16 percent during 2018. San Mateo County, part of the Silicon Valley, received the largest increase in the number of transactions. As for the secondary real estate market, New Mexico’s Santa Fe took the lead with a 16 percent increase in the number of transactions. Canada also displayed a significant increase in property deals: Victoria, British Columbia headed the list of most active markets with a 26 percent increase in home sales being registered. Which segment of the luxury real estate market is getting the most attention? In 2018, the world’s wealthiest individuals spent US$46 on travel, resulting in an upsurge in hospitality real estate yield and triggering more transaction involving hospitality properties. Presently, the total volume of the global high-end hospitality real estate market exceeds US$83 billion, of which US$22 billion is accounted for by the EU. ILPE experts foresee four percent market growth in the next year. During Q3 2018 alone, the market increased by three percent. Despite Brexit, in 2018 investments in hospitality real estate in Great Britain reached €6.8 billion, up 15 percent over 2017 and accounted to 30 percent of all investments in European hotels. Spain ranked second investment-wise. In 2018, this country received €4.8 billion, up 23 percent over 2017. Germany takes third spot on the list, transactions involving hospitality real estate amounting to €4.09 billion, down 20 percent compared with 2017. In 2018, the profitability rate of managed and freely owned hotels in five major German cities dropped by 25 percent. In 2019, the EU hospitality real estate market will grow by another four percent. This trend will be observed not only in popular tourist destinations, but in Croatia, Slovenia, and Romania. Hospitality property investments in these countries may account for 20 percent to 80 percent of all real estate investment. ●	Investor interest in upmarket holiday rental apartments is growing. This holds true for Europe (e.g. Italy and Spain) and Asia (Thailand). ●	Caution in transactions involving UK real estate in the aftermath of the Brexit vote, to be observed during the first half of 2019. ●	Europe is gradually withdrawing capital from the market while investments from Asia and CIS countries, particularly China, Hong Kong, India, Russia, and Azerbaijan, are rising steadily. ●	The number of deals involving off-plan and pre-construction properties is increasing. International Luxury Property Expo (ILPE) (http://ilpexpo.com/) is a series of B2C exhibitions dedicated to high-end real estate that have been held around the world, including in Cannes, Shanghai, Mumbai, Moscow, Bangkok, and other cities. The ILPE events draw HNWIs from across the globe. The large-scale Monaco International Luxury Property Expo 2019 will be held 15-16 May in Monaco’s Grimaldi Forum. It will bring together 200 developers and 1,000 individual investors from 80 countries. The ILPE team works with private investors directly and eyes the real estate market worldwide. The above figures were provided by the ILPE analytical services.